You are currently browsing the tag archive for the ‘Israeli Committee Against House Demolitions’ tag. As mentioned before, the Seam Zone is that region of Palestine that exists between the Green Line (the 1949 Armistice Line) and the Separation Barrier. Many Palestinians who live on the West Bank side of the barrier either work or have land in the Seam Zone. These people need permits to enter the Seam Zone and many of them also go to work in Israel. To get a permit is not easy and we have met many Palestinians, here in Jayyus, and elsewhere, who need to get across into the Seam Zone but cannot for a variety of seemingly strange reasons. More about this in the next post. A different category of persons altogether are Palestinians that actually live in the Seam Zone. According to a United Nations Office for the Coordination of Humanitarian Affairs (UNOCHA) report in 2014, over 11,000 Palestinians live in the Seam Zone. This of course does not include the approximately 200,000 Palestinians in East Jerusalem that live between the barrier and the Green Line. Palestinians living in the Seam Zone are extremely vulnerable as they are effectively living in Israel but without Israeli citizenship, and are very often in close proximity to settlements. This also means that building permits, while extremely difficult to obtain in area C, are impossible to get in the Seam Zone. 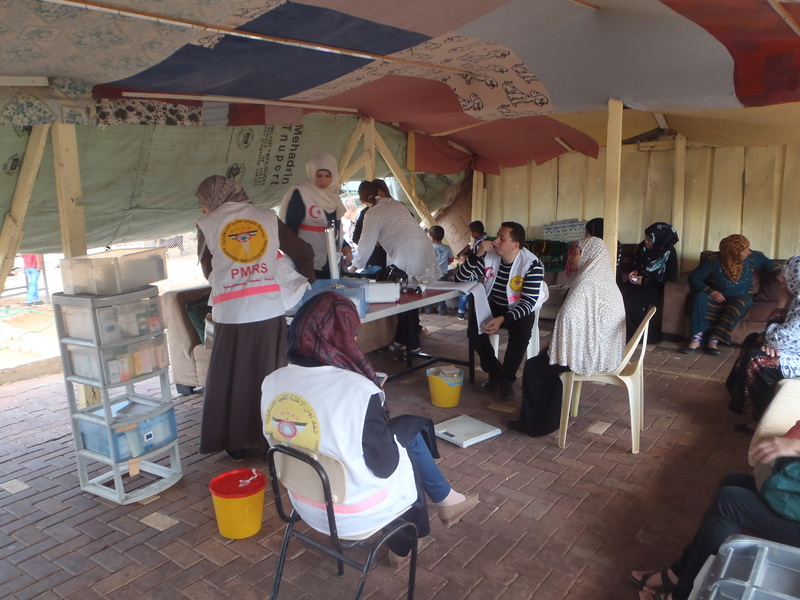 Last Thursday, 30th October, I had the privilege of accompanying the Palestinian Medical Relief Society’s (PMRS) mobile clinic (based in Qalqiliya) on its rounds through some villages in the Seam Zone. 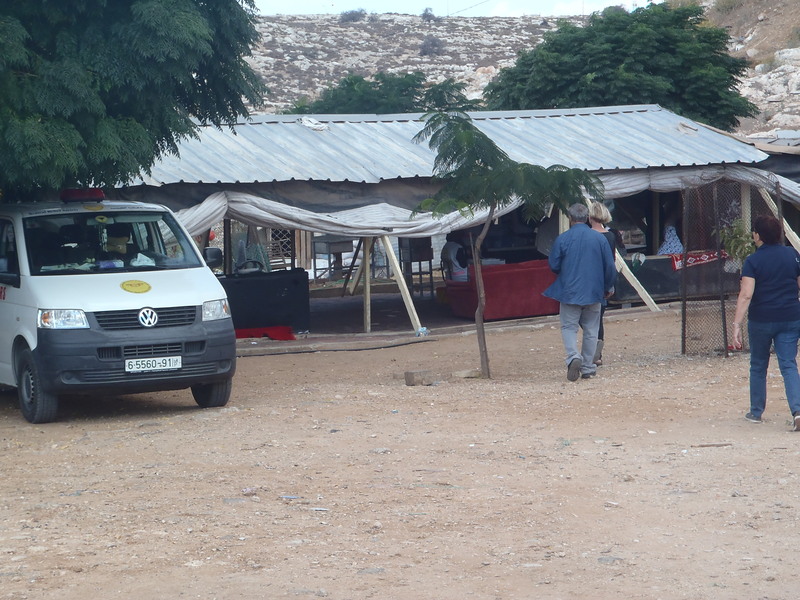 The mobile clinic’s van was accompanied by a car with two Dutch activists and a Palestinian driver. Both vehicles had yellow number plates (as opposed to the green number plates that West Bank Palestinians have) and so they had a chance of getting into the Seam Zone. We had to pass through the Jaljoulia checkpoint to get to the villages we needed to visit, and this took about 30 minutes. Our belongings were X rayed, phones checked for traces of explosives and our passports scrutinized three times. The vehicles were checked using mirrors to look underneath and all compartments were thoroughly searched. The first village we visited was an unauthorized Bedouin village called Arab ar Ramadin al Janubi. Unauthorized means that the village did not exist before 1948. As such, the Israeli military does not allow the village to build any infrastructure such as roads, electricity or water supply. About 300 people live in this little village, the land being purchased from people living in the village of Habla, just on the other side of the barrier. The people of this village are in a better position than many in the Seam Zone as they can prove their ownership of the land. This does not stop the Israeli military from demolishing any new structures even as small as animal enclosures if they find out that any have been newly constructed. The people of this village have managed to get electric power from the village of Habla and have constructed an infant/primary school for their kids despite that their first attempt was demolished by the Israeli military. 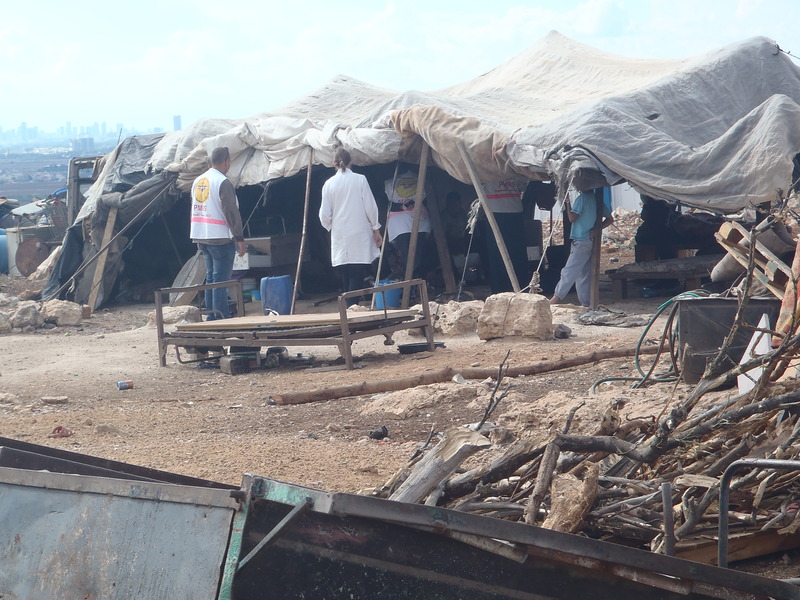 When looking at the village one would think that the village was very poor but Suhad Hashem, PR officer for the clinic, said that the villagers don’t want donations, they want their freedom and their rights. The next village we visited was Arab Abu Farda (also Bedouin). This village was in much worse shape than the other village as it had no power and no running water. The French government constructed a large water tank but the Israeli military has prevented it from being filled. The villagers have to buy water from outside the village at an expensive price. The village has a high infant mortality rate and upon even visiting the village for a short time, one feels that the health problems in the village would be significant. Both villages have the shadow of demolitions hanging over them and their future is extremely uncertain. These Bedouins originally lived in the Negev before 1948 but were expelled into the West Bank after 1948 and ultimately they were moved up to the place they now reside. In both of these villages I was continually touched in my heart by the generosity and warmth of these people despite their difficult circumstances. After visiting the villages our driver took us up to see the Israeli settlement called Alfe Menashe which stands on top of the hill overlooking the valley where the Bedouin villages lie. As we stood looking out from a scenic lookout in the settlement, a softly spoken middle aged women from Alfe Menashe came and asked what we were doing. When we told her where we had been she said that she thought that these Bedouin people could live better and that the problem was that they were lazy. When queried about house demolitions she said that it wasn’t true, such things didn’t happen. All the while during this experience I couldn’t help thinking about the idea that the measure of a society is determined by how that society treats its most vulnerable members. That hardly counts in some ways in this case because Israel doesn’t consider such people to be members of their society. International Law says otherwise. As an occupying power, the Israeli Government has a moral and legal responsibility to protect the rights of these people, that is, their rights to education, a healthy life, safe housing, freedom of movement and legal and political rights. How Israel convinces itself that such obligations are not theirs, is another story. DISCLAIMER I am participating in a program as an Ecumenical Accompanier serving in the World Council of Churches’ Ecumenical Accompaniment Program in Palestine and Israel (EAPPI). The views contained here are personal to me and do not necessarily reflect those of the National Council of Churches Australia or the World Council of Churches. If you would like to publish the information contained here (including posting on a website), or distribute it further, please first contact the EAPPI Communications Officer (eappi.communications@gmail.com) for permission. Thank you. Could you give us an update on the demolition of Palestinian homes and of what people now often refer to as the ‘ethnic cleansing’ of Jerusalem. So, in this situation where the USA is really paralysed because Netanyahu has [influence over] both parties in congress and Obama does not want to do anything, Netanyahu is going to make the last move in nailing this whole thing down. Israel could well annex area C, which is 60 per cent of the West Bank. Now, a couple of months ago the European Council diplomats in Jerusalem and Ramallah sent a report to the EU saying that Israel has forcibly expelled the Palestinians from area C. Forcible expulsion is hard language for European diplomats to use. So area C contains less than 5 per cent of the Palestinian population. In 1967 the Jordan valley contained about 250,000 people. Today it’s less than 50,000. So the Palestinians have either been driven out of the country, especially the middle class, or they have been driven to areas A and B. That’s where 96 or 97 per cent of them are. The Palestinian population has been brought down low enough, there is probably somewhere around 125,000 Palestinians in area C, so Israel could annex area C and give them full citizenship. Basically, Israel can absorb 125,000 Palestinians without upsetting the demographic balance. And then, what is the world going to say? It’s not apartheid, Israel has given them full citizenship. So I think Israel feels it could get away with that. No one cares about what’s happening in areas A and B. If they want to declare a state, they can, Israel has no interest in Ramallah, Nablus and Hebron. In other words, we’re finished. Israel is now from the Mediterranean to the Jordan River, the Palestinians have been confined in areas A and B or in small enclaves in East Jerusalem, and that’s it. So when people talk about a Palestinian state on 22 per cent of historical Palestine, it’s not even that, right? The number is much smaller. Yes, what [Salam] Fayyad (Palestinian National Authority prime minister) is saying is our state does not have to be on any particular amount of territory, our state is an economic state and we can work around you annexing this and that because we can make our cities. The idea is that Israel will give them a bit of area C, to put the enclaves a little bit more together. So the north, the south and Gaza will still be cantonized, but what Fayyad is saying is we can make a go of that. Both Netanyahu and Fayyad have moved from a territorial conception of two states to an economic conception of two states, which is a whole different thing. The problem that the bosses have is how to sell that to the Palestinian people. But it seems to me that this is what is coming down the pipeline. Israel feels that the Palestinians have been defeated. It’s over. Resistance is impossible because of the Israeli army, the Palestinian proxy army, the wall, I mean, you can’t mount a Third Intifada. Israel policy since the Iron Wall of 1923, has been despair. I wrote an article about this once ‘The mounting despair in Palestine‘. The Zionists have always, always said that once the Arabs despair – [Ze’ev] Jabotinsky once put it interestingly ‘despair of the land of Israel ever becoming Palestine’ – that was the end, victory for them. Israel feels that’s what we have got now. 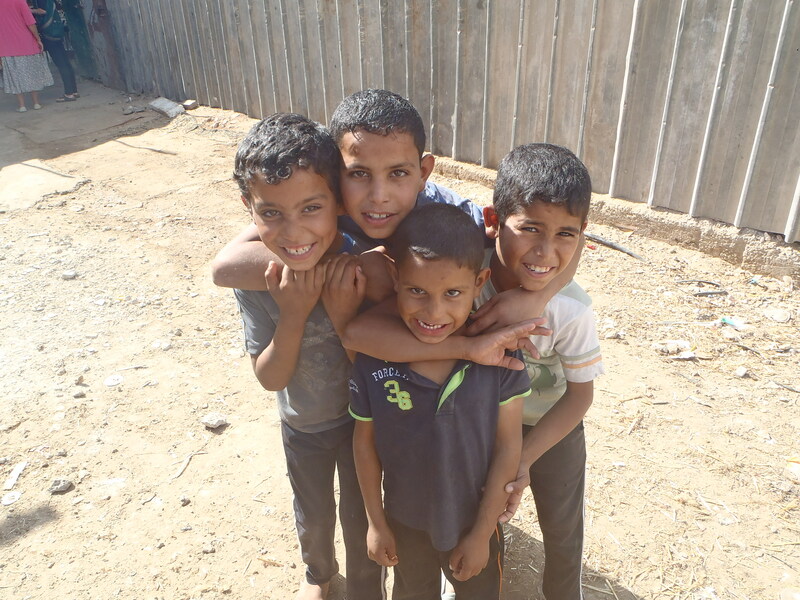 If you go today to the West Bank, Gaza might be different, you’ll hear the people say that they don’t care anymore, let me have a job, let me live my life and I’ll be happy. In a sense, Fayyad feels he can respond to that. Some pogroms took place recently when a group of Beitar soccer fans attacked Palestinian workers in a shopping mall. Were those people a few bad apples, or do these types of events indeed say something about Israeli society? They are more than bad apples. They are not completely Israeli society either. This football team in Jerusalem is connected to the Likud. In Israel many football clubs are associated with political parties. There is a very close relation between the ideology of Likud and Begin and the Beitar football team. They see the Arabs as the enemy. So it reflects about a third of the Israeli public that is very committed to expansion, settlements, that see the Arabs as enemies. In Beitar, their chants, it’s not just the pogroms, they chant every time their team scores a goal, ‘death to the Arabs’. That’s what 20,000 people chant. Beitar for example has never had an Arab player. The Arabs are beginning to be more prominent in Israeli football teams. Not in Beitar Jerusalem. This pogrom is kind of an extension of this. It’s all in the context of kids, for the most part its kids that have seen Israel changed into a neoliberal economy, become more and more Thatcherite, and you have tremendous income disparity in Israel. Israel is now in the OECD, but it has one of the highest income disparities. Kids have got no real future, that’s part of the context too. Those kids come from the housing projects, very much like those who follow the National Front in France or the EDL in England, people that only have this racist emotional outlet for their frustrations, and football is great for that. It channels anger away from the government. That’s why they sponsor football teams! How important are the words we use, in your opinion, when it comes to Palestine/Israel. Ilan Pappe recently told me that we should rethink our vocabulary. Can we objectively still talk about ‘peace/occupation’? Shouldn’t we talk about ‘right to resist’ and ‘apartheid’ instead? For sure. We deal a lot with words in our analysis. There are two words, because I think occupation is an old word. We are way beyond occupation. I think we are also way beyond apartheid. There are two words that capture the political reality but don’t have any legal substance today. One of them is Judaization. The entire country is being Judaized. It’s a word that the government uses, to Judaize Jerusalem, the Galilee, so the Judaization process is really at the heart of what’s going on. But it has no legal reference. So one of our projects we’re working on with Michael Sfard and some other lawyers is to try to introduce those terms into the discourse with the idea of trying to give them some legal frame. We have to try to match the political process, the political reality, because it is unprecedented in the world. Another term is ‘warehousing’ because I think that captures what’s going on better than apartheid. Warehousing is permanent. Apartheid recognizes that there is another side. With warehousing it’s like prison. There is no other side. There is us, and then there are these people that we control, they have no rights, they have no identity, they’re inmates. It’s not political, it’s permanent, static. Apartheid you can resist. The whole brilliance of warehousing is that you can’t resist because you’re a prisoner. Prisoners can rise up in the prison yards but prison guards have all the rights in the world to put them down. That’s what Israel has come to. They are terrorists and we have the right to put them down. In a sense Israel has succeeded with the international community, and the US especially, in taking out of this situation the political. It’s now solely an issue of security, just like in prisons. It’s another concept that does not have any legal reference today but we’d like to put that in because warehousing is not only in Israel. Warehousing exists all over the capitalist world. Two-thirds of the people have been warehoused. That’s why I’m writing about Global Palestine. I’m saying that Palestine is a microcosm of what’s happening around the world. Frank Barat is a human rights activist based in London. He is the coordinator of the Russell Tribunal on Palestine. He has edited two books, Gaza in Crisis, with Noam Chomsky and Ilan Pappe, and Corporate Complicity in Israel’s Occupation with Asa Winstanley. He has also contributed to Is there a court for Gaza? with Daniel Machover. He can be found on Twitter @frankbarat22. Even as I write this, the bulldozers have been busy throughout that one indivisible country known by the bifurcated term Israel/Palestine. Palestinian homes, community centers, livestock pens and other “structures” (as the Israel authorities dispassionately call them) have been demolished in the Old City, Silwan and various parts of “Area C” in the West Bank, as well among the Bedouin – Israeli citizens – in the Negev/Nakab. This is merely mopping up, herding the last of the Arabs into their prison cells where, forever, they will cease to be heard or heard from, a non-issue in Israel and, eventually, in the wider world distracted from bigger, more pressing matters. An as-yet confidential report submitted by the European consuls in Jerusalem and Ramallah raises urgent concerns over the “forced expulsion” of Palestinians – a particularly strong term for European diplomats to use –from Area C of the West Bank (the 60% of the West Bank under full Israeli control but which today contains less than 5% of the Palestinian population). Focusing particularly on the rise in house demolitions by the Israeli authorities and the growing economic distress of the Palestinians living in Area C, the report mentions the fertile and strategic Jordan Valley (where the Palestinian population has declined from 250,000 to 50,000 since the start of the Occupation), plans to relocate 3000 Jahalin Bedouins to a barren hilltop above the Jerusalem garbage dump and the ongoing but accelerated demolition of Palestinian homes (500 in 2011). In fact, it closed long ago. In terms of settlers and Palestinians, the Israeli government treats the whole country as one. Last year it demolished three times more homes of Israeli citizens (Arabs, of course) than it did in the Occupied Palestinian Territory. The demolition of Bedouin homes in the Negev/Nakab is part of a plan approved by the government to remove 30,000 citizens from their homes and confine them to townships. None of this concerns “typical” Israelis even if they have heard of it (little appears in the news). For them, the Israeli-Arab conflict was won and forgotten years ago, somewhere around 2004 when Bush informed Sharon that the US does not expect Israel to withdraw to the 1967 borders, thus effectively ending the “two-state solution,” and Arafat “mysteriously” died. Since then, despite occasional protests from Europe, the “situation” has been normalized. Israelis enjoy peace and quiet, personal security and a booming economy (with the usual neoliberal problems of fair allocation). The unshakable, bi-partisan support of the American government and Congress effectively shields it from any kind of international sanctions. Above all, Israeli Jews have faith that those pesky Arabs living somewhere “over there” beyond the Walls and barbed-wire barriers have been pacified and brought under control by the IDF. A recent poll found that “security,” the term Israelis use instead of “occupation” or “peace,” was ranked eleventh among the concerns of the Israeli public, trailing well behind employment, crime, corruption, religious-secular differences, housing and other more pressing issues. As for the international community, the “Quartet” representing the US, the EU, Russia and the UN in the non-existent “peace process” has gone completely silent. (Israel refused to table its position on borders and other key negotiating issues by the January 26th “deadline” laid down by the Quartet, and no new meetings are scheduled). The US has abandoned any pretense of an “honest broker.” Months ago, when the US entered its interminable election “season,” Israel received a green light from both the Democrats and Republicans to do whatever it sees fit in the Occupied Territory. Last May the Republicans invited Netanyahu to address Congress and send a clear message to Obama: hands off Israel. That same week, Obama, not to be out-done, addressed an AIPAC convention and reaffirmed Bush’s promise that Israel will not have to return to the 1967 borders or relinquish its major settlement blocs in East Jerusalem and the West Bank. He also took the occasion to promise an American veto should the Palestinians request membership in the UN – though that would merely amount to an official acceptance of the two-state treaty that the US claims it has been fostering all these years. No, as far as Israel and Israeli Jews are concerned, the conflict and even the need for pretense is over. The only thing remaining is to divert attention to more “urgent” global matters so that the Palestinian issue completely disappears. Voila Iran. Indeed, by clinging to the two-state solution and continuing to participate in “negotiations” years after they have proven themselves a trap, the Palestinian leadership plays a central role in its own people’s warehousing. The reality – even the fact – of occupation gets buried under the diversions set up by the fraudulent yet unending “peace process.” This only enables Israel to imprison the Palestinians in tiny cells; witness today’s mini-ethnic cleansing, just one of thousands of micro-events that have the cumulative effect of displacement, expulsion, segregation and incarceration. It also enables Israel to then blame the victims for causing their own oppression! When a Palestinian leadership assumes the prerogative to negotiate a political resolution yet lacks any genuine authority or leverage to do so, and when, in addition, it fails to abandon negotiations even after they have been exposed as a trap, it comes dangerously close to being collaborationist. For its part, Israel is off the hook. Instead of going through the motions of establishing an apartheid regime, it simply exploits the willingness of the Palestinian Authority to perpetuate the illusion of negotiations as a smokescreen covering its virtual imprisonment of the Palestinian “inmates.” Once the current mopping up operations are completed, the process of incarceration will be complete. Today the only alternative agency to the Palestinian Authority is segments of the international civil society. The Arab and Muslims peoples for whom Palestinian liberation is an integral part of the Arab Spring, stand alongside thousands of political and human rights groups, critical activists, churches, trade unions and intellectuals throughout the world. Crucial as it is for keeping the issue alive and building grassroots support for the Palestinian cause that will steadily “trickle up” and affect governments’ policies, however, civil society advocacy is a stop-gap form of agency, ultimately unable to achieve a just peace by itself. We, too, are trapped in the dead-end personified by the two-state solution, reference to a “peace process” and their attendant “negotiations.” There is no way forward in the current paradigm. We must break out into a world of new possibilities foreclosed by the present options: a “two-state” apartheid regime or warehousing. In my view, while advocacy and grassroots mobilization remain relevant, several tasks stand before us. First, we must endeavour to hasten the collapse of the present situation and subsequently, when new paradigms of genuine justice emerge from the chaos, be primed to push forward an entirely different solution that is currently impossible or inconceivable, be that a single democratic state over the entire country, a bi-national state, a regional confederation or some other alternative yet to be formulated. The Palestinians themselves must create a genuine, inclusive agency of their own that, following the collapse, can effectively seize the moment. Formulating a clear program and strategy, they will then be equipped to lead their people to liberation and a just peace, with the support of activists and others the world over. Behind the insistence of the liberal Zionists of J Street, Peace Now, the Peace NGOs Forum run out of the Peres Center for Peace and others to hang on to a two-state solution at any cost is a not-so-hidden agenda. They seek to preserve Israel as a Jewish state even at the cost of enforcing institutional discrimination against Israel’s own Palestinian citizens. The real meaning of a “Jewish democracy” is living with apartheid and warehousing while protesting them. No, the liberals will be the hardest to wean away from the two-state snare. Yet if they don’t abandon it, they run the risk of promoting de facto their own worst nightmare of warehousing while providing the fig-leaf of legitimacy to cover the policies of Israel’s extreme right – all in the name of “peace.” This is what happens when one’s ideology places restrictions on one’s ability to perceive evil or to draw necessary if difficult conclusions. When wishful thinking becomes policy, it not only destroys your effectiveness as a political actor but leads you into positions, policies and alliances that, in the end, are inimical to your own goals and values. Jettisoning all talk of a “two-state solution” removes the major obstacle to clear analysis and the ability to move forward. The obfuscation created by the “two-state solution” now out of the way, what emerges as clear as day is naked occupation, an apartheid regime extending across all of historic Palestine/Israel and the spectre of warehousing. Since none of these forms of oppression can ever be legitimized or transformed into something just, the task before us becomes clear: to cause their collapse by any means necessary. There are many ways to do this, just as the ANC did. Already Palestinian, Israel and international activists engage in internal resistance, together with international challenges to occupation represented by the Gaza flotillas and attempts to “crash” Israeli borders. Many civil society actors the world over have mobilized, some around campaigns such as Boycott, Divestment, Sanctions (BDS), others around direct actions, still others engaged in lobbying the UN and governments through such instruments as the Human Rights Council, the Committee on the Elimination of Racial Discrimination (CERD) and international courts. There have been campaigns to reconvene the Tribunal that, under the Fourth Geneva Convention, has the authority and duty to sanction Israel for its gross violations. Dozens of groups and individuals alike engage in public speaking, mounting Israel Apartheid Weeks on university campuses and working through the media. And much more. And here is where Palestinian civil society plays a crucial role, a role that cannot be played by non-Palestinians. If it is agreed that the Palestinian Authority must go if we are to get beyond the two-state trap – indeed, the dismantling of the PA being a major part of the collapse of the present system – then this call must originate from within the Palestinian community. Non-Palestinians must join in, of course, but the issue of who represents the Palestinians is their call exclusively. Non-Palestinians can also suggest various end-games. I’ve written, for example, about a Middle East economic confederation, believing that a regional approach is necessary to address the core issues. The Palestinian organization PASSIA published a collection of twelve possible outcomes. It is obvious, though, that it is the sole prerogative of the Palestinian people to decide what solution, or range of solutions, is acceptable. For this, and to organize effectively so as to bring about a desired outcome, the Palestinians need a new truly representative agency, one that replaces the PA and gives leadership and direction to broad-based civil society agency, one that has the authority to negotiate a settlement and actually move on to the implementation of a just peace. As of now, it appears there is only one agency that possesses that legitimacy and mandate: the Palestinian National Council of the PLO (although Hamas and the other Islamic parties are not (yet) part of the PLO). Reconstituting the PNC through new elections would seem the most urgent item on the Palestinian agenda today – without which, in the absence of effective agency, we are all stuck in rearguard protest actions and Israel prevails. Our current situation, caught in the limbo between seeking the collapse of the oppressive system we have, and having a Palestinian agency that can effectively lead us towards a just resolution, is one of the most perilous we’ve faced. One person’s limbo is another person’s window of opportunity. Say what you will about Israel, it knows how to hustle and exploit even the smallest of opportunities to nail down its control permanently. “Collapse with agency,” I suggest, could be a title of our refocused efforts to weather the limbo in the political process. Until a reinvigorated PNC or other representative agency can be constituted, a daunting but truly urgent task, Palestinian civil society might coalesce enough to create a kind of interim leadership bureau. This itself might be a daunting task. Most Palestinian leaders have either been killed by Israel or are languishing in Israeli prisons, while Palestinian civil society has been shattered into tiny disconnected and often antagonistic pieces. At home major divisions have been sown between “’48” and “’67” Palestinians; Gaza, Jerusalem and the West Bank have been effectively severed; and within the West Bank restrictions on movement among a bewildering array of “areas” – A, B, C, C-Restricted, H-1, H-2, nature reserves, closed military areas – have resulted in virtual, largely disconnected Palestinian mini-societies. Political divisions, especially among secular/traditional and Islamic factions, have been nurtured, not least by Israel. Overall, the Palestinian population, exhausted by years of sacrifice and resistance, impoverished and preoccupied with mere survival, has been left largely rudderless as many of its most educated and skilled potential leaders have left or are forbidden by Israel to return. For its part, the Palestinian leadership has done little to bridge the wider divisions amongst those falling under PA rule, Palestinian citizens of Israel, residents of the refugee camps and the world-wide Diaspora, divisions that have grown even wider since the PLO and the PNC fell moribund. Indeed, major portions of the Palestinian Diaspora (and one may single out especially but not exclusively the large and prosperous communities of Latin America), have disconnected from the national struggle completely. The Palestinian possess some extremely articulate spokespeople and activists, but they tend to be either a collection of individual voices only tenuously tied to grassroots organizations, or grassroots resistance groups such as the Popular Committees that enjoy little political backing or strategic direction. Ever aware that the struggle for liberation must be led by Palestinians, our collective task at the moment, in my view, is to bring about the collapse of the present situation in Palestine in order to exploit its fundamental unsustainably. The elimination of the Palestinian Authority is one way to precipitate that collapse. It would likely require Israel to physically reoccupy the Palestinian cities and probably Gaza as well (as if they have ever been de-occupied), bringing the reality of raw occupation back to the centre of attention. Such a development would likely inflame Arab and Muslim public opinion, not to mention that of much of the rest of the world, and would create an untenable situation, forcing the hand of the international community. Israel would be put in an indefensible position, thus paving the way for new post-collapse possibilities – this time with an effective and representative Palestinian agency in place and a global movement primed to follow its lead. But given the underlying unsustainability of the Occupation and the repressive system existing throughout historic Palestine – the massive violations of human rights and international law, the disruptive role the conflict plays in the international system and its overt brutality – collapse could come from a variety of places, some of them unsuspected and unrelated to Israel/Palestine. An attack on Iran could reshuffle the cards in the Middle East, and the Arab Spring is still a work in progress. Major disruptions in the flow of oil to the West due an attack on Iran, internal changes in Saudi Arabia and the Gulf States, instability in Russia and even the fact that China has no oil of its own could cause major financial crises worldwide. Sino-American tensions, environmental disasters or Pakistan’s nuclear weapons falling into the hands of the Taliban with unpredictable Indian reactions may all play an indirect yet forceful role. Who knows? Ron Paul, President Gingrich’s newly appointed Secretary of State, might end all military, economic and political support for Israel, in which case the Occupation (and more) would fall within a month. The most powerful Christian Zionist in the U.S. (probably the world), John Hagee, has called on numerous occasions for the U.S. to attack Iran. Jeff Halper, an Israeli peace activist, believes Israel may be poised to do the job for them. Read what he said in the following article posted on the Mondoweiss website by Philip Weiss. 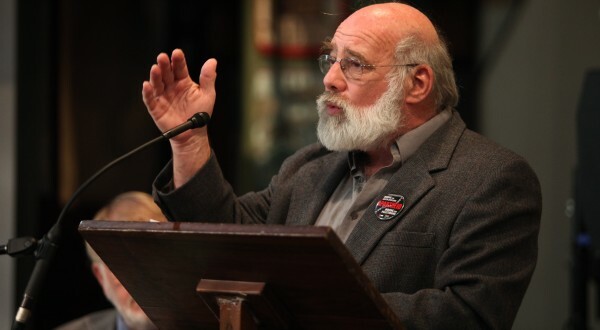 Israel may well attack Iran in an effort to distract the world from the Palestinian issue, Jeff Halper of the Israeli Committee Against House Demolitions said last Saturday in New York. “It’s a delaying thing. You won’t hear the word Palestinian for another five years,” Halper said. And Benjamin Netanyahu and Ehud Barak, government ministers from rightwing and centrist parties, could work together on the effort, seamlessly. The Minnesota born activist, who has been nominated for the Nobel Peace Prize, spoke at the Tree of Life conference on the conflict at Advent Lutheran Church on the Upper West Side. And Halper spoke frankly of the American interest and of the issue of dual loyalty. At the beginning of his term, Obama was talking the national-interest talk: “Resolving this issue is in the vital national interest of the United States.” Halper said that Ronald Reagan played the same card when he sold the AWACs airplanes to Saudi Arabia in the 1980s– it’s not in Israel’s interest but it’s in the American interest. And when the issue is framed in that manner, most American Jews are going to fall into line “150 percent.” Even AIPAC supporters’ greatest fear is that they are going to be seen to have dual loyalties because there is a “conflict between the interests of Israel and the United States,” Halper said, and that cleavage ought to be stated now. Halper also said that the two state solution is no longer viable, and that one great outcome of the U.N. process is that 140 members of the General Assembly are likely to vote for a Palestinian state, and then send their ambassadors to Jerusalem. And then if Palestinians march on a checkpoint, and if one Palestinian is shot, it would “absolutely be a war crme,” in the eyes of the world.